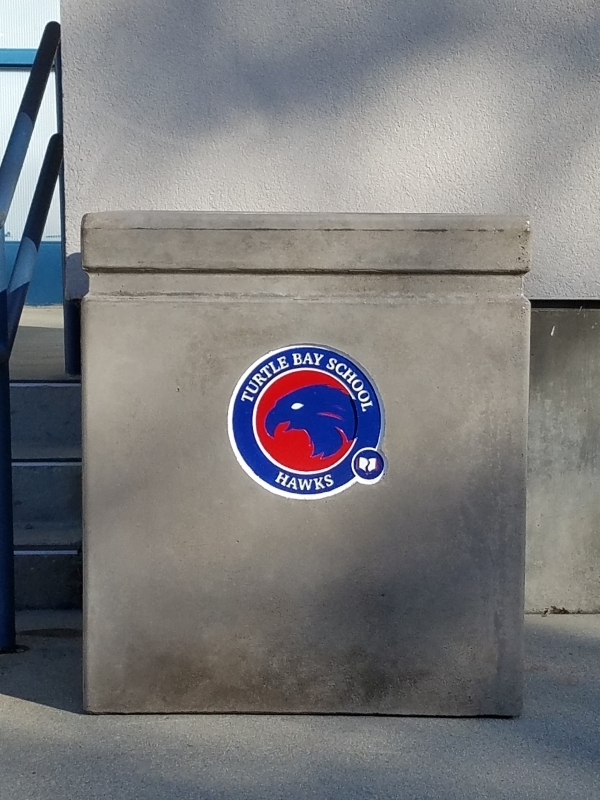 Turtle Bay School upgraded their metal trash cans to precast concrete trash receptacles. 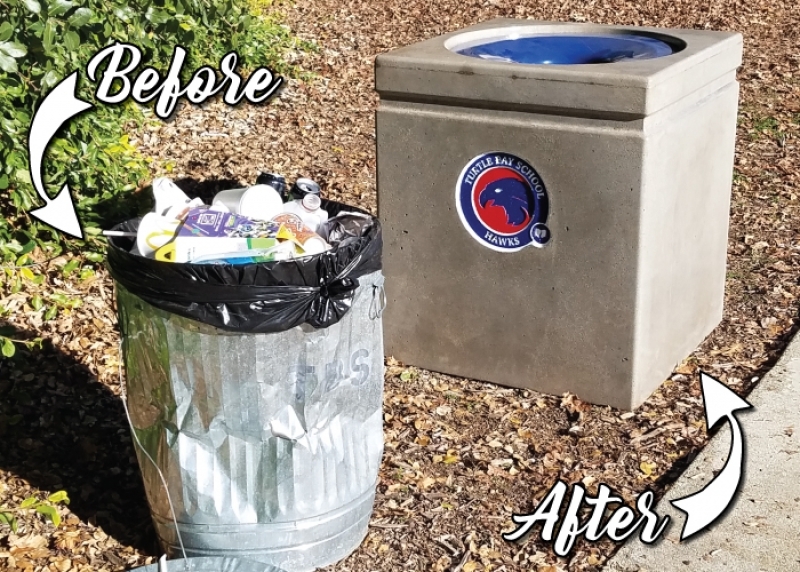 They customized the trash receptacle with their school logo and matched the lids to their school colors. The receptacles are more durable than the metal cans, as seen in the photo. Turtle Bay School also upgraded the sealer to our Nano Tech Barrier. This sealer makes it easy to remove graffiti and will not break down over time.